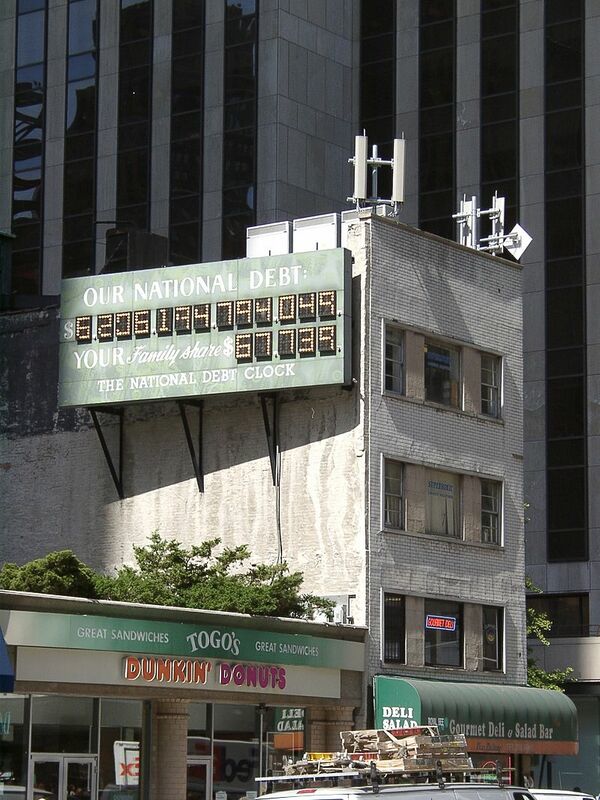 Big Apple Secrets: Seymour Durst, his debt clock and Old York Library. Seymour Durst, his debt clock and Old York Library. The founder of the family, Joseph Durst immigrated to the United States from Austria-Hungary in 1902 with three dollars to his name. 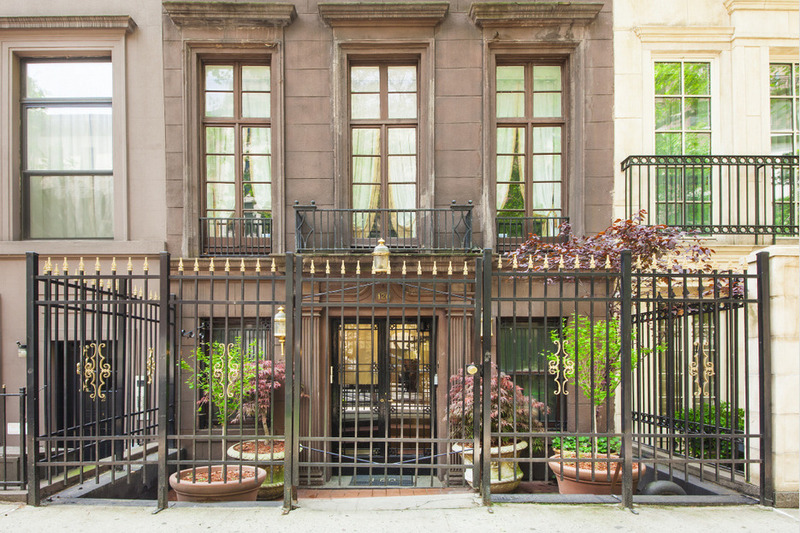 He invested in real estate, purchasing his first building in 1915. 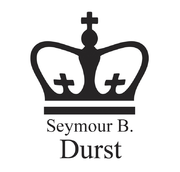 In 1940, his son Seymour Durst joined the real estate firm, The Durst Organization, which had been founded by his father. Seymour had a personal lifelong passion for collecting published and archival materials on New York and its history. Durst vigorously pursued his passion over the years, amassing a collection of approximately13,000 books, 20,000 postcards, as well as thousands of photographs, maps, newspaper , and other ephemera . 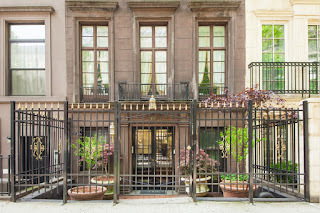 Originally housed in a brownstone on East 48th street in midtown Manhattan in the 1970s, the The Old York Library later moved to another brownstone at 120 East 61st Street. He established Old York Foundation. After his death the foundation was manages by his family. In 2011 the Durst family donated the library and a $4 million gift to Columbia University. Seymour Durst was also concerned with the ballooning national debt. 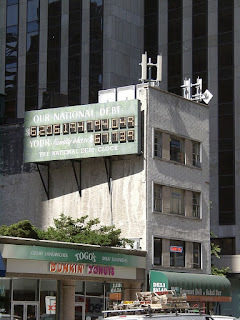 In 1989, Durst created and installed the National Debt Clock on a Durst Organization property in order to draw attention to the then $2.7 trillion debt. After Seymour's death in 1995, his son Douglas Durst became president of the Durst Organization, which owns and maintains the clock. The first clock were 11 by 26 feet and were constructed at a cost of US$100,000. 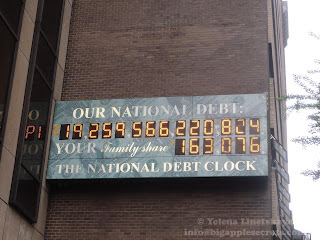 In 2000, due to an improving debt situation, the clock have to backward and it was a problem - for a clock, not for the country. 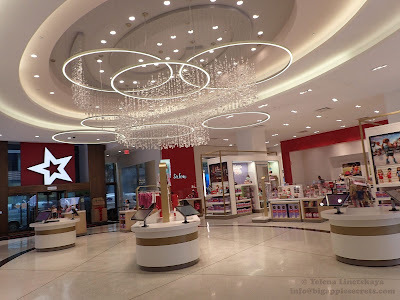 The display had not been designed to run backwards. So the clock was unplugged and covered with a red, white and blue curtain. 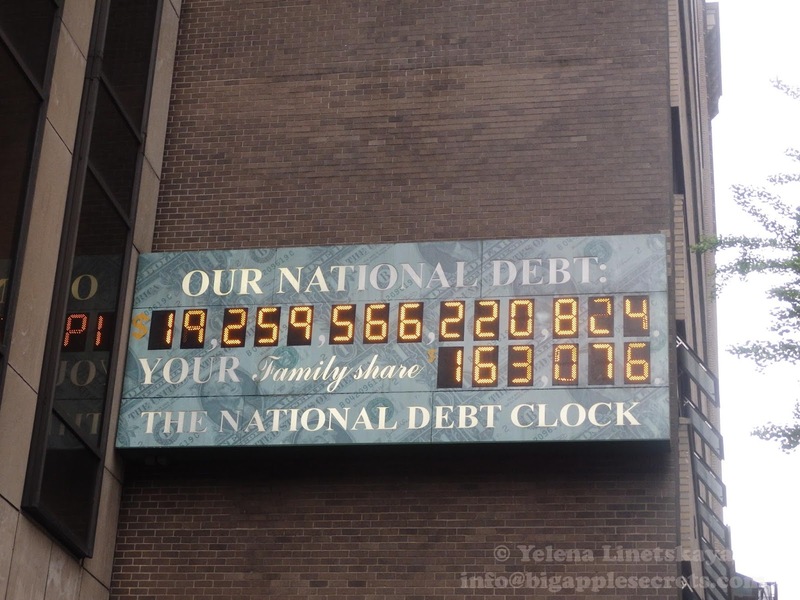 In two years in July 2002 with a rising debt at $6.1 trillion, the curtain was raised and the clock started ticking again. In 2004, the original clock was moved from its location. An updated model, which can run backward, was installed one block away on a Durst building at as 1133 Sixth Avenue. It is mounted on the side wall of the building which faces W. 44th Street.